Brooke Gibbs' resume looks more like one of a seasoned journalist, not of a student. At 19, Brooke has already interned at Girlfriend Magazine, The Macarthur Chronicle, NSW Police Force, The Australian, Global Hobo, Happy Mag, Lunchbox, The Brag and the Sydney Morning Herald. We caught up with Brooke to find out about her internships and her exciting new role at Fairfax Media. 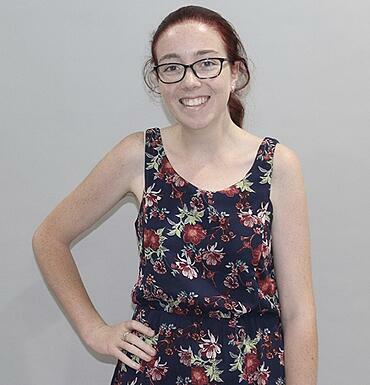 I am a 19-year-old journalism student at Macleay College. As a kid, I absolutely hated watching the news and reading the newspapers, but something sparked in English class in year 10. We had a guest speaker come and talk to us about her job (she worked for a magazine, unfortunately the name of that magazine slips my brain) and something just clicked where I could see myself doing that as a career after school. So the next year, I enrolled in a Certificate III in Screen & Media at Campbelltown Tafe and landed by first work experience gig at Girlfriend Magazine, and from then on in, writing has become an addiction, and I can’t imagine myself doing anything else. I’m a bit old fashioned and love the traditional newspaper gigs. I would love to become a full-time crime reporter and on the side, still stick to the music journalism I am doing now. What has your internship experience been like? Absolutely amazing! As I mentioned earlier, I landed my first internship at Girlfriend Magazine while I was still at school where I spent a week in the office creating my own mini magazine covering beauty, fashion, celebrities, DIY. My first internship at Macleay College was at my local newspaper, The Macarthur Chronicle where I covered local news from arts, education, sport and general news. Still being fascinated by crime, my next internship was at the NSW Police force, which was a lot further away from journalism than I expected it to be. It was more PR work where I was writing and distributing press releases and attending press conferences for missing persons, but it was extremely fascinating being at the centre of the action and working with police officers. There was never a dull moment. A few weeks later The Australian’s National Crime Reporter Dan Box gave a guest lecture at the college. I’ve always been inspired by his journalism, so I got in contact with him straight away and spent a week shadowing him where I covered the infamous sentencing of politician Eddie Obeid, the Scott Johnson death inquiry, and Nick Kaldas and the operation prospect report. From there I moved to Bali for a month to intern for online travel blog, Global Hobo where a worked with a bunch of international travel writers to create our own e-book, ‘A Balinese Centric Guide to Living Local,’ as well as producing feature-length articles, attending Balinese language classes as well as participating in writing classes taught by journalists from VICE, Year 13, etc. I’ve also interned for a few music publications such as Happy Mag and Lunchbox (which I’m still at now) where I do interviews, album reviews and live gig reviews which landed me my first paid writing gig at The Brag where I’m a freelance music/film journalist and get paid $60 per article, which is not bad at all for my first freelancing gig. My most current internship was at the Sydney Morning Herald, which I just finished up on Friday. I spent a month as a business reporter where I got a front-page story and multiple top online news stories, one of which was even discussed on the Studio 10 panel and ABC radios. They’ve put my name down for some casual work there, so I’m really looking forward to potentially doing some more work with the SMH in the future. 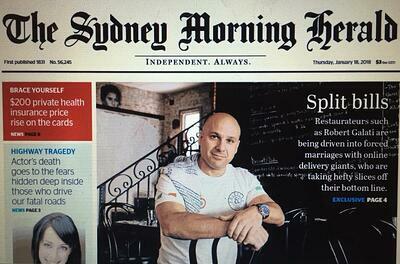 Image: Brooke's story makes the front page of The Sydney Morning Herald. What was the most valuable thing you learnt during your internship? Connections really are the key to success and unfortunately in this industry it does come down to who you know. They are the ones who will share with you good story ideas, help you land a job, introduce you to the people you want to work with. 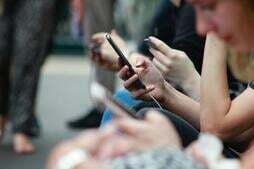 You can’t succeed in journalism without being social and getting your name known. Have you learnt anything unexpectedly while interning? I realised that journalism is one of those professions that people don’t always understand and no matter what you write, people will have their opinions. While interning at the SMH, I wrote an article about the decrease in travel to the US since Donald Trump was elected president and I interviewed people who wouldn’t travel there as a direct result of the Trump effect. I received a few hate emails after publishing that article, so I needed to remind myself to not take it personally. 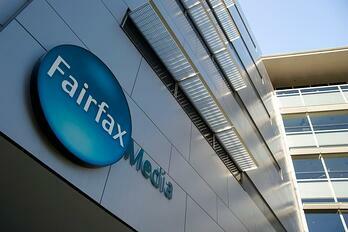 Congratulations on landing a job with Fairfax Media! Can you tell us about what your role will be? I started the new role on Monday taking over as the Entertainment and Education Reporter for the Southern Highlands News at Fairfax Regional, based in Bowral. It's been pretty busy so far, but I'm loving it! What has the Macleay experience been like so far? Incredible. I’m so glad I chose to study at Macleay rather than the traditional university. The journalists we have had attend our guest lecturers have been incredible and really gives you the connections, for example, if Dan Box didn’t come in, I never would have gained the experience I got at The Australian. Our tutors are incredible. They are industry experts who really know their stuff and go out of their way to help you. I’m so thankful for tutors such as Monica Attard, Sue Stephenson, Fiona West, Tony Kleu and Jess Hill, and Leah Creighton who is our amazing internship coordinator. But besides that, our newsroom has provided me with the practical skills that I have landed me these internships. When we are not in classes, we are creating content for Hatch in the forms of written text, photo essays, video packages and podcasts. This ensures that when we graduate we have a wide portfolio of work to show future employers. Find out more about the Journalism programs at Macleay.